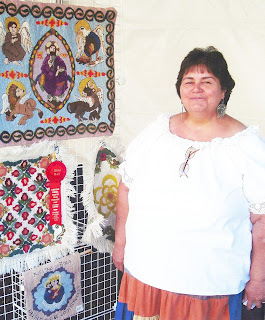 Every year Santa Fe hosts the Traditional Spanish Market sponsored by the Spanish Colonial Arts Society. 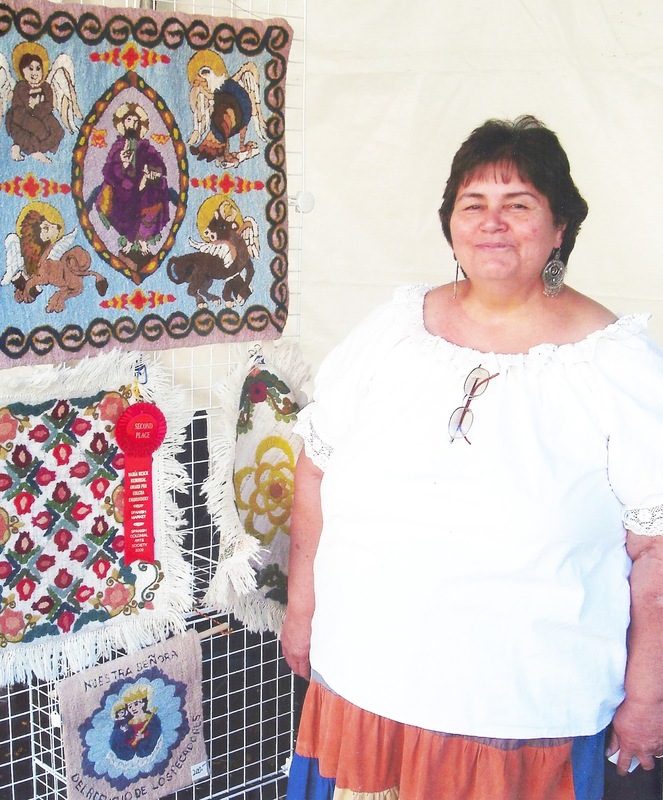 This year was the 61st Annual Market. This juried fair features traditional Spanish crafts by fabulous artisans. 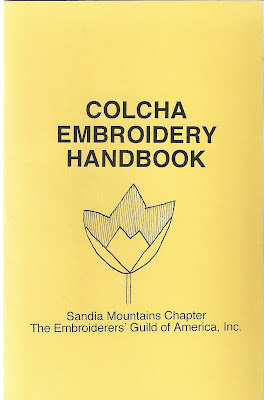 One of the craft categories is Colcha Embroidery. 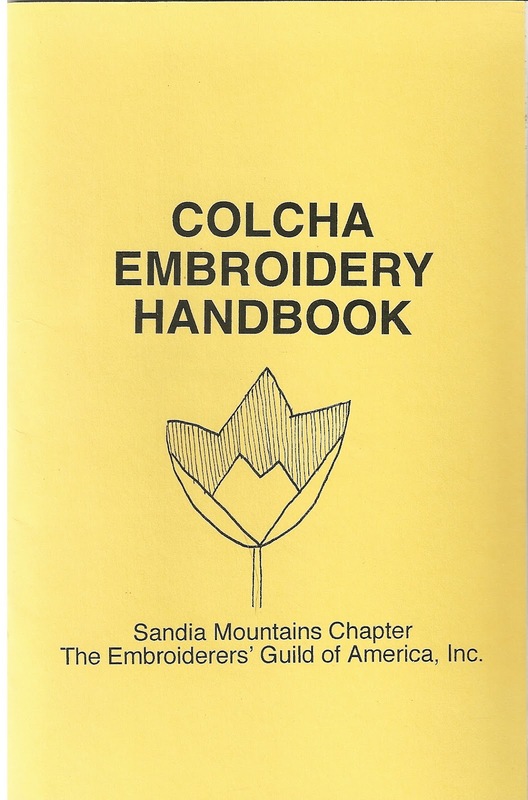 Colcha, in Spanish, means a bed covering and in the context of embroidery is actually the name of the stitch used to create elaborate designs. This wool on wool embroidery is referred to as sabanilla labrada, which may have been developed in New Mexico during the Spanish Colonial Period. Sabanilla is a loosely woven wool fabric made from homespun yarns in natural colors. 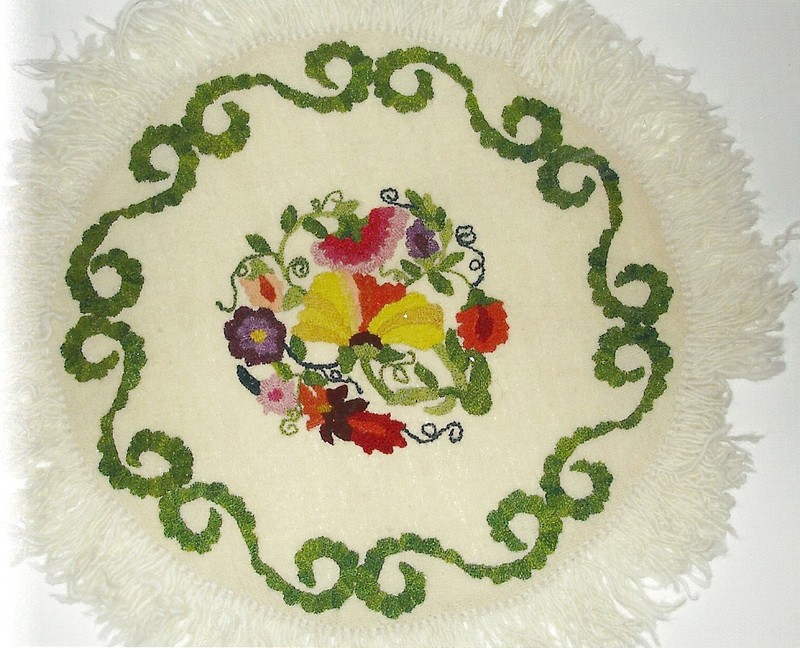 It was traditionally woven in 30 inch widths which were seamed if intended for a bed covering. 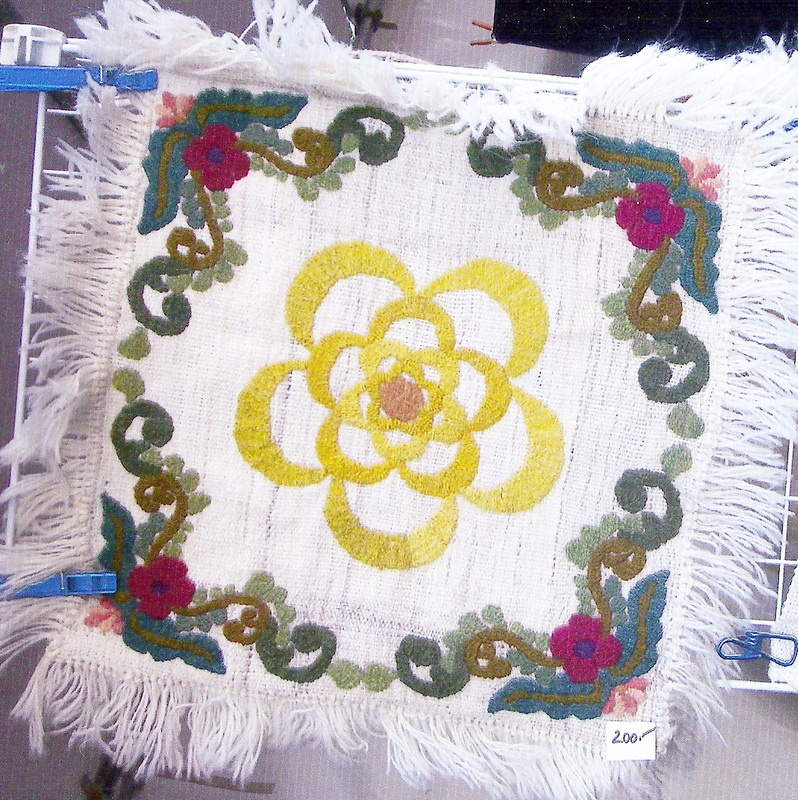 They were also used for altar covers, rugs and furniture covers. 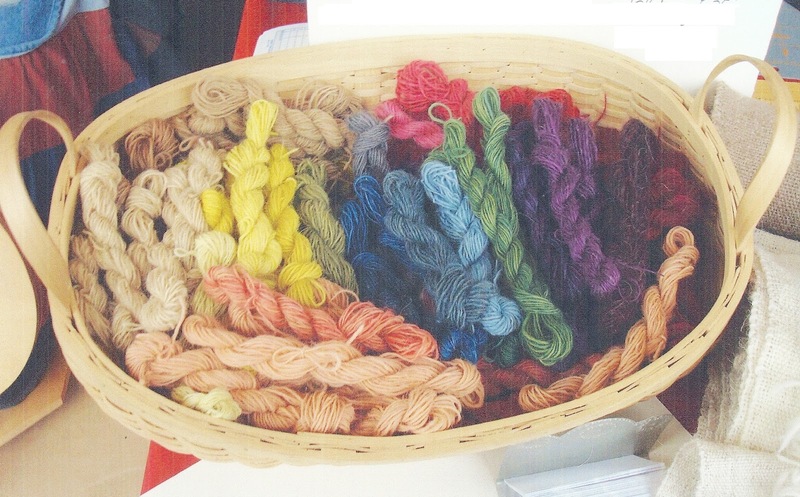 The handspun embroidery yarns were dyed green, yellow, indigo and red in addition to the natural colors of the sheep’s wool. 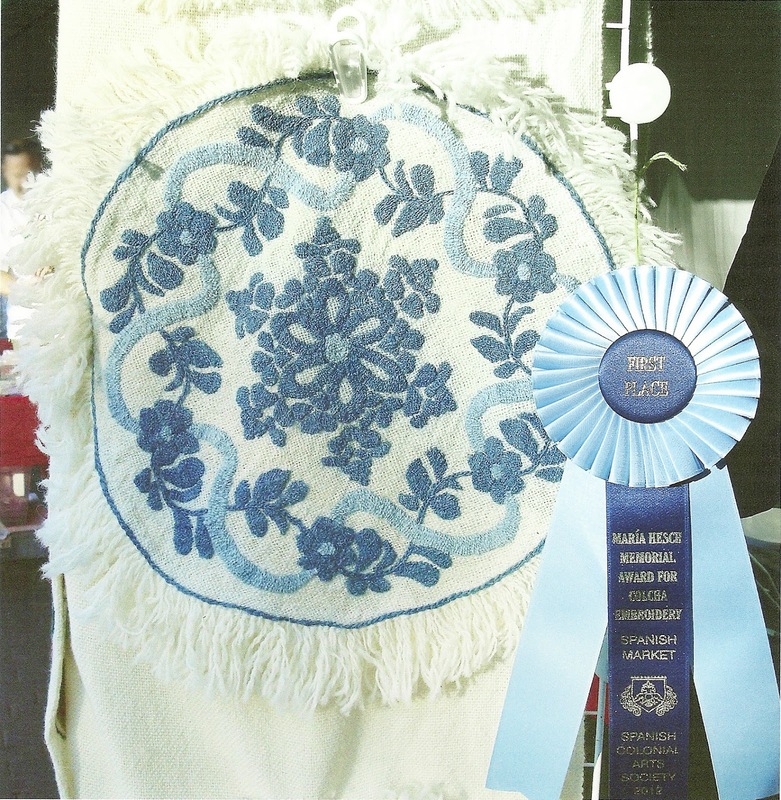 These textiles are usually finished with a fringe. Motifs include florals and designs resembling Indian chintz, which were popular in Spain during the colonial period. 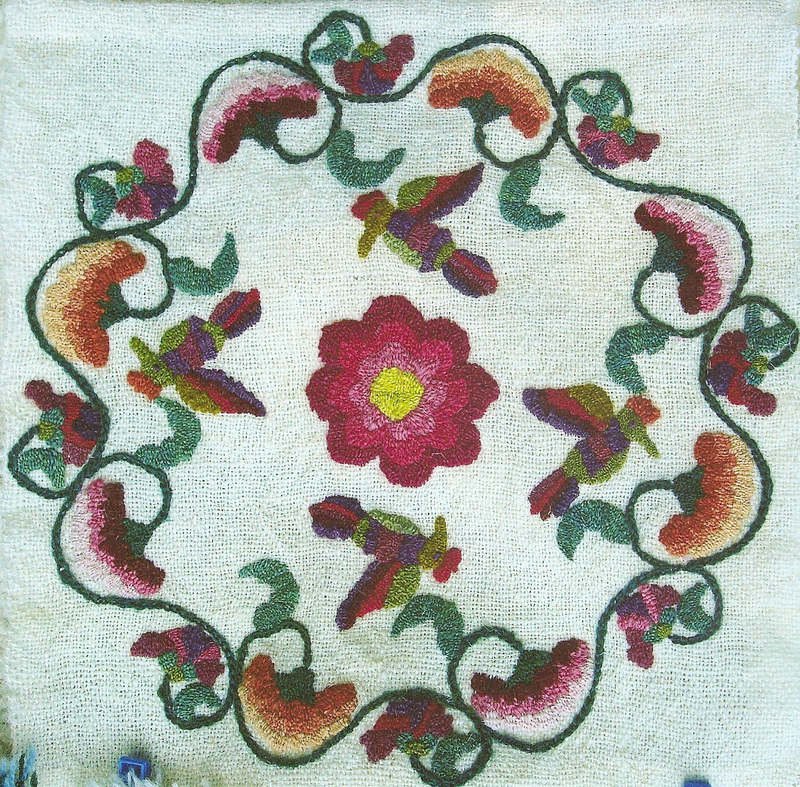 There are needle-workers who use a non-traditional wool on cotton technique, however the most prized colchas created today are made in the traditional manner. 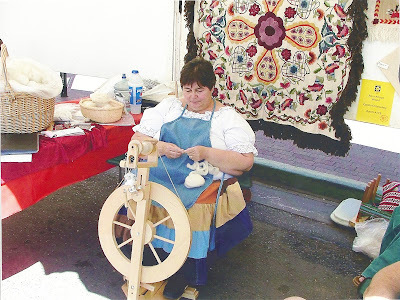 I have the privilege of knowing a remarkable needlewoman, Nina A Wood. She has participated in Spanish Market for several years displaying her ribbon winning textiles, being awarded a blue ribbon in this years Market. You go girl!